Why is there not an English one anymore? I had it on an old PC, I installed one of them because I remeber this mod and loved it but when i got in game saw the names were in Italian Haha, I see there is only SPA, ITA, TUR now, so what happened? 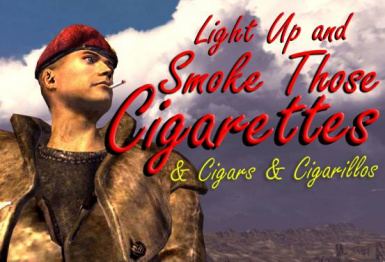 There is already an english version, anyway, Simply click a cigarette (or cigar or cigarillo) in your inventory (just like you would with any other chem) to light it up and smoke them.